forums.drowtales.com • View topic - A silly question from a noob. Board index ‹ Drowtales world ‹ Questions and World Setting ‹ A silly question from a noob. A silly question from a noob. 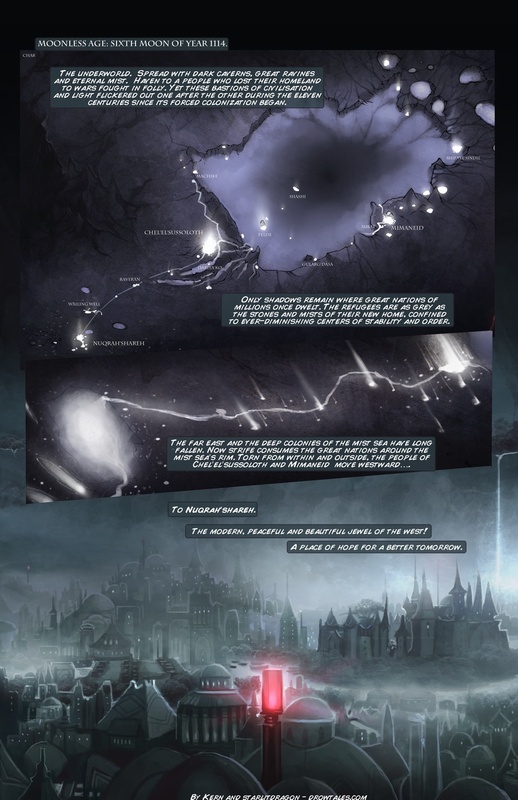 If most of the underworld is under the sea of mist, and the sea of mist was made by a part of the moon falling down making an impact crater..... Then doesn't that mean that most of the underworld has no "roof" aside from the sea of mist itself? Re: A silly question from a noob. I think the sea is above the entrance to the underworld, that is how I'd interpret it. partner555 wrote: I think the sea is above the entrance to the underworld, that is how I'd interpret it. Well then..... How did the main part of the underworld(that big area that's supposed to be the impact crater) get a roof then? I can see the sides of such a thing eroding a little, but into a giant cave system across the whole thing? From what I understand from the map Chel is located in the actual underground part and not the sea of mist, and the cavern that makes up the main city is essentially a big geode that probably existed prior to the moon piece impacting the planet. 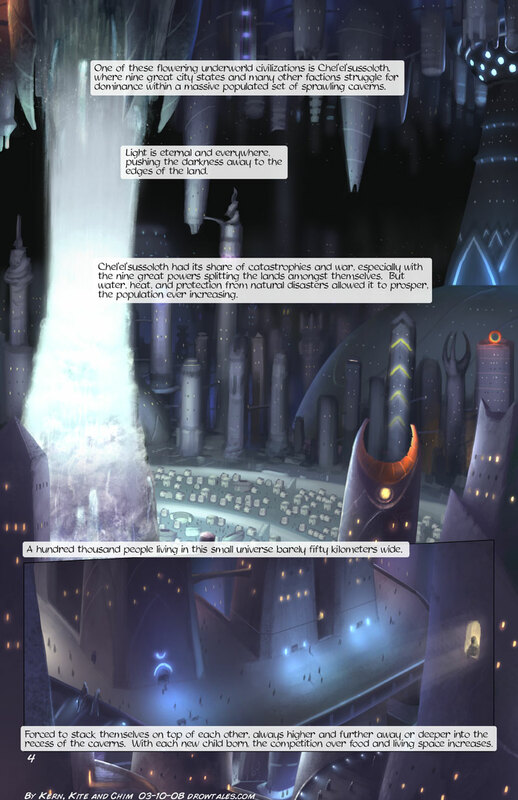 AthenAltena wrote: From what I understand from the map Chel is located in the actual underground part and not the sea of mist, and the cavern that makes up the main city is essentially a big geode that probably existed prior to the moon piece impacting the planet. I know that, but most of the underworld is made up of the impact crater, yet... Even is that city Mel just got to, which is covered in the mist, there are building hanging down from above..... What exactly are they attached to? Shgon Dunstan wrote: I know that, but most of the underworld is made up of the impact crater, yet... Even is that city Mel just got to, which is covered in the mist, there are building hanging down from above..... What exactly are they attached to? I don't think there are actually any buildings hanging from the ceiling in Felde, just that enough of them are obscured by the mist that they can't be totally seen. Kern has also commented that Felde does get rain (hence whey Snadhya's Feldian bodyguards do not have ear holes on their hoods since it would get in there otherwise) so there is no cavern roof over it. It also seems to be a bit more than one ladder to get from the surface to the bottom where the cities are, or else they would have done so already. It also seems like only some of the areas in the actual crater are capable of supporting life, Sha'shi for instance is near the center of the crater but it's mentioned to be totally reliant on outside supplies, and most of the population centers are near the edge or in enclosed caverns. AthenAltena wrote: I don't think there are actually any buildings hanging from the ceiling in Felde, just that enough of them are obscured by the mist that they can't be totally seen. Kern has also commented that Felde does get rain (hence whey Snadhya's Feldian bodyguards do not have ear holes on their hoods since it would get in there otherwise) so there is no cavern roof over it. It also seems like only some of the areas in the actual crater are capable of supporting life, Sha'shi for instance is near the center of the crater but it's mentioned to be totally reliant on outside supplies, and most of the population centers are near the edge or in enclosed caverns. Felde is under a mountain in the sea of mist or an overhang, or nestled between high cliffs or something. It is semi-underground . MEK1724 wrote: Felde is under a mountain in the sea of mist or an overhang, or nestled between high cliffs or something. It is semi-underground . Ah, you're right, I stand corrected. I looked up the cover of the audiobook about Felde and there are indeed some things hanging. The wiki also describes it as "on a mountain side in the Mist Sea". Also Felde being exposed brings up an interesting point about it: lack of natural heat. Chel has the rift to keep it warm, but Mel's comment about it being cold is probably because of the combination of the actual weather and lack of volcanic vents, which would be reflected by Chel's cavern. It's also likely one of the few cities that has to deal with seasons in any significant way. The underground spreads throughout the entire continent so it's impossible for all of it to be roofless. Places like Nuqrah'shareh have rifts that allow sunlight and rain to filter through. The underground itself is miles deep, to the point where it takes weeks to reach the surface on mounts. The lifts must be built in sturdy enough locations and cuts the time to the surface to hours. The Well of Light took years to dig, if I recall. Nuqrah'shareh has one such lift, which is likely how they've been getting their surface food(I think they have a colony up there). But the biggest reason why they stay underground is because there's not enough mana on the surface to support their populations. It's why mana fields in colonies are very important, they're the lifeblood of the place. Without them, even in a large population, the elves living there would age quickly(for them). That and most of the major clans in Chel have convinced themselves that the surface is a wasteland and going back up to be a waste of time and resources when they have everything they need underground. Their biggest excuse being that they have to settle things there before they can think of going back to the surface. Not every city is like Chel, however. The Mimians have a surface colony, the Nal'sarkoth and the Illhar'dro are also invested in surface colonies and repopulating the surface. The sea of mist spreads throughout the underworld and has been shown to float up above the surface in some areas. The wiki has some information on locations that may help answer your questions. I forget, have we been told how big the continent is? All I remember is that Chel is around thirty miles wide. I think it's an incorrect assumption to think most of the settlements of the underworld are in the mist sea. As we can see [/link=http://www.drowtales.com/mainarchive.php?sid=7936]here[/link], nearly all of them are actually around the mist sea (we don't not what is the proporstion among them of underground, semi-underground or completely open to a sky covered by mist) or in other caverns, so a lot of them do have a "roof". We just know to few cities to have an good idea of the proportion. 50kms, or(so Google tells me) 31.0686 miles, and technically it said "nearly 50kms". Links broken, but I was able to search it, and.... Your right but, wasn't there a small town at east at the moon fragment in one of the audiobooks? Or was that a small part of it that had broken away? I ask because that map doesn't show any light in the meddle of the crater. I was speaking about the distance between chel and Nuqrah. But i'm totally unable to remember where I got this idea. Pelinore wrote: I was speaking about the distance between chel and Nuqrah. But i'm totally unable to remember where I got this idea. Chel was 50 km in the prolouge . Multiplying out the ratio implied by this map , gives a distance roughly in line with that distance you gave .